If you live in this northern town, chances are that you are a fan of Colorado’s beautiful weather. While the temperatures and precipitation can change in an instant along the Front Range, many residents seek to make the most of the sunshine. Wellington is a town that places a high priority on enjoying Mother Nature, yet your home may be lacking in outdoor amenities. If the exterior of your property is not conducive for entertaining guests, relaxing, or any other outdoor event, a deck installation may be a smart move for your Wellington home! Rocky Mountain Fence & Decks is proud to be your team of professional fence and deck builders for Wellington, Fort Collins, Loveland, and beyond. Our experienced deck builders have worked to perfect the process since 1992, delivering amazing outcomes for each and every one of our clients. Our business model relies on the idea that taking care of our customers will allow us to better take care of ourselves. Installing a new fence or deck system for your home can provide numerous benefits. Your new outdoor decking, for example, can create a new outdoor living space for your family to enjoy. Our deck pros can help you to design a system that entertains guests, increases storage for your outdoor activities, boosts your home’s curb appeal, and subsequently increases your home’s value when it comes time to sell. Investing in a new deck is no small venture, which is why our experts are here to help every step of the way. 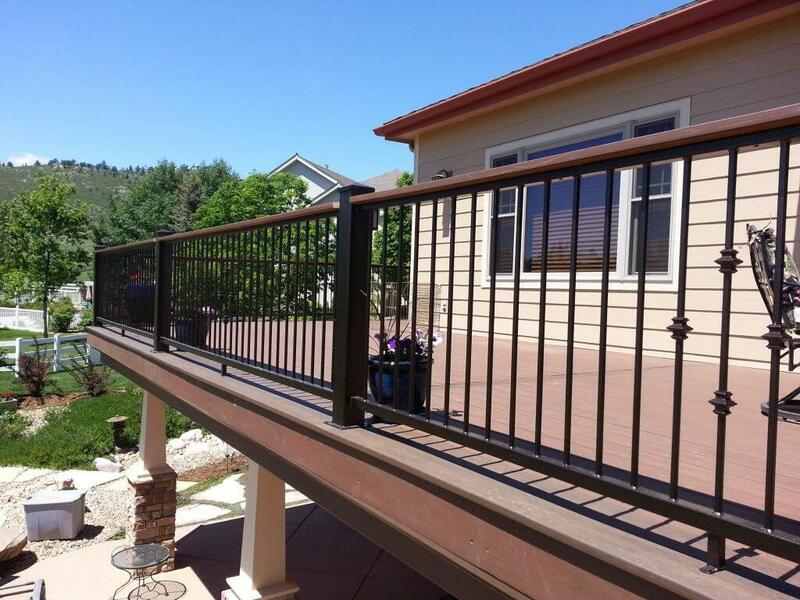 From your initial quote to the final walk through, Rocky Mountain Fence & Decks is proud to be your source for the best services in Northern Colorado, delivering personalized results to satisfy your goals and budget. If you are interested in working with our deck builders for your Wellington home, be sure to fill out the form below or contact us with questions to get started today!